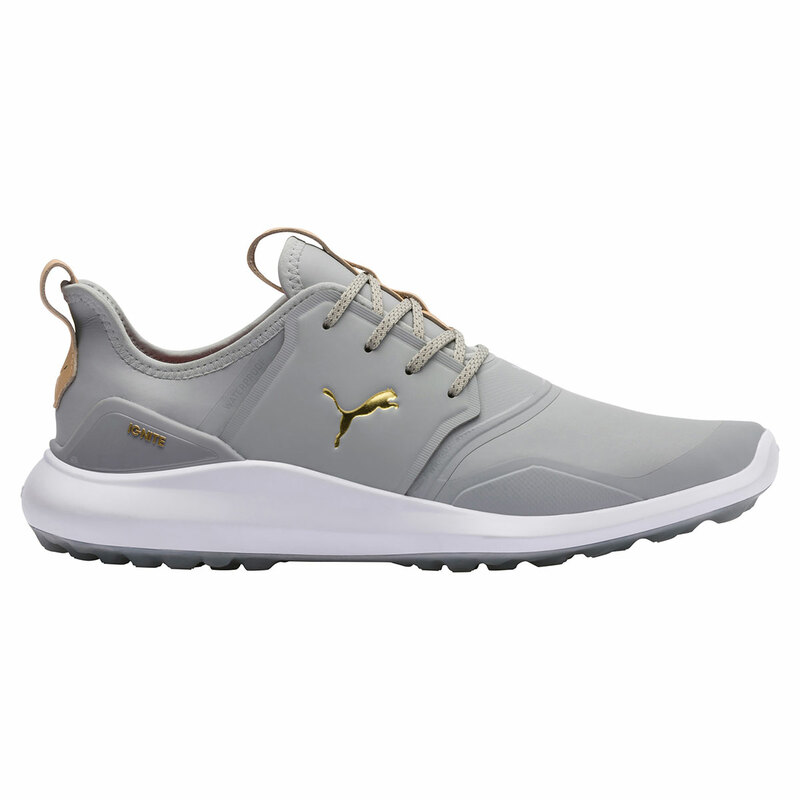 Feel comfortable on and off the golf course with these superbly designed golf shoes from PUMA. 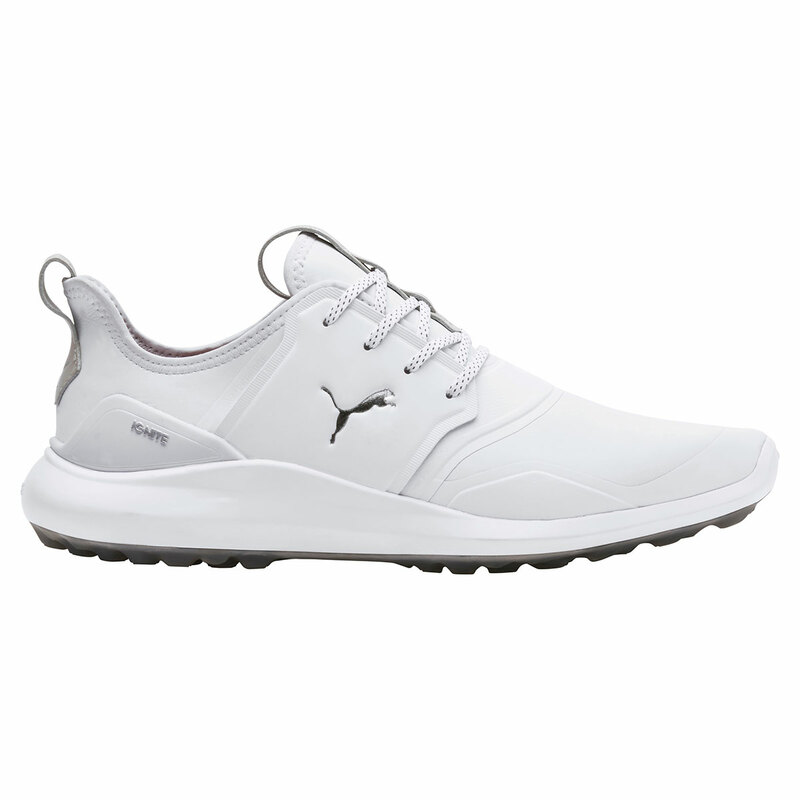 The upper features a microfiber vamp with PWRFrame reinforcement and decoupled PWRCage pieces provide a secure fit, helping to provide you with increased comfortability and allow you to stay out no the golf course for longer periods of play. The micro-thin TPU film is vacuum formed around the midsole for added durability and makes cleaning off dirt and debris a breeze. 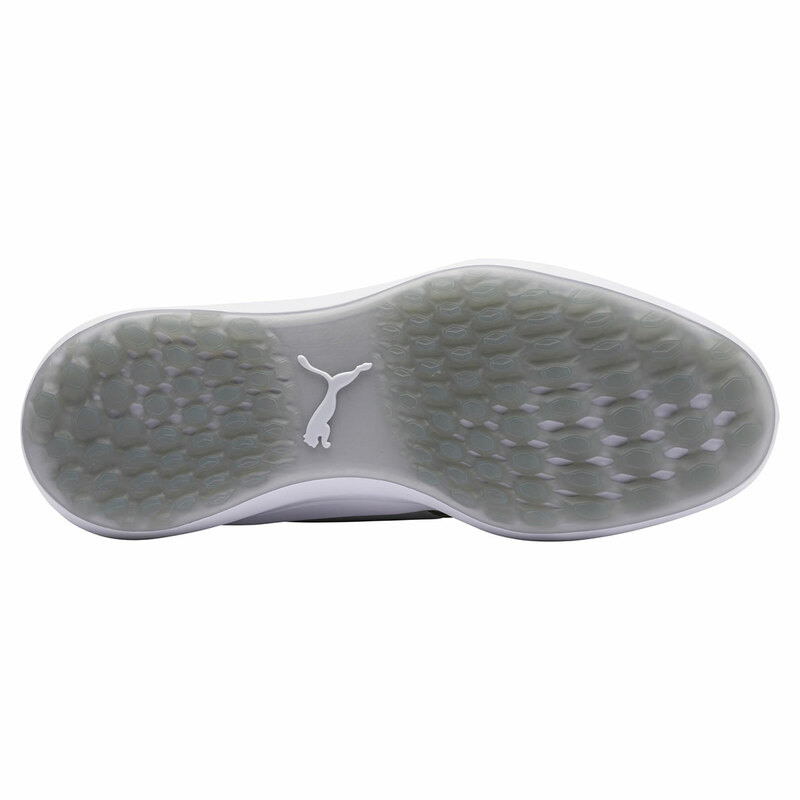 Please note that the size options available are UK sizes. The table below displays European sizing details.